Profiled in the book, Fifty Places to Bike Before You Die, this eight-day, self-contained tour centered in Michigan’s Leelanau Peninsula is an adventure you won’t want to miss! We’ll enjoy local wineries, ride through stunning pine forests, and, of course, visit the iconic whitesand beaches and towering dunes of Sleeping Bear National Lakeshore. We’ll also have the opportunity to visit quaint lakeside villages and lighthouses, stopping to admire crystal clear inland lakes and spectacular views. Our layover day in beautiful Platte River State Park can be spent lying on the beach, hiking a bluff, or canoeing. 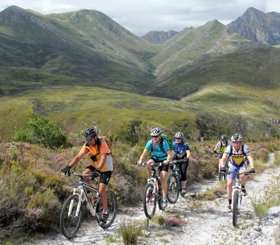 If you’re new to self-contained touring or want a relaxing week of fun riding and unforgettable scenery, this is the tour for you!